3 years and now she’s gone. 3 Years ago I met this little girl. She was sweet, she was cute and she liked having her tummy rubbed. Today, as part of the whole ‘letter go of Korea’, she has now gone to a better place. Some very kind new Canadian English Teachers have agreed to take over the care of such a great companion over the last 3 years. She will be sorely missed with nothing but awesome memories. Herein follows those said memories. She was cute. She knew how pose, sleep and generally warm your heart just by looking at her. She loved boxes. It must be a cat thing but if we ever left an opened box anywhere, you can bet she’d find it and jump right in! She liked to fall asleep in my arms. She really liked spending time with me. It wasn’t just boxes really, pretty much anything she could squeeze into. Which included closets with comfy blankets. And was pretty much comfortable anywhere really. Sometimes we could tell when she was under the blankets, otherwise we’d have to check for lumps in the bed. Author DragonDonPosted on December 21, 2014 Categories ContentTags cat, Korea, parting, Pet, South Korea3 Comments on 3 years and now she’s gone. 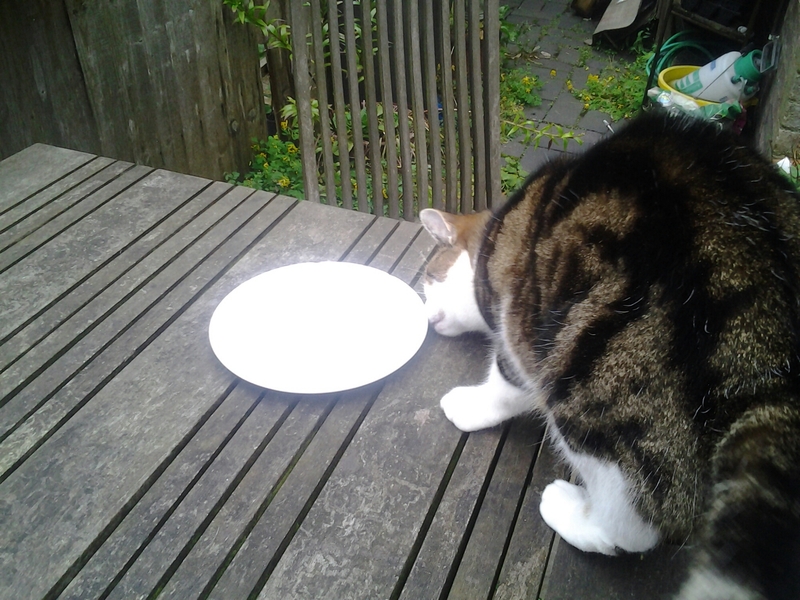 And here we have a perfectly licked clean plate with a last round of inspection to make sure nothing feel underneath it.